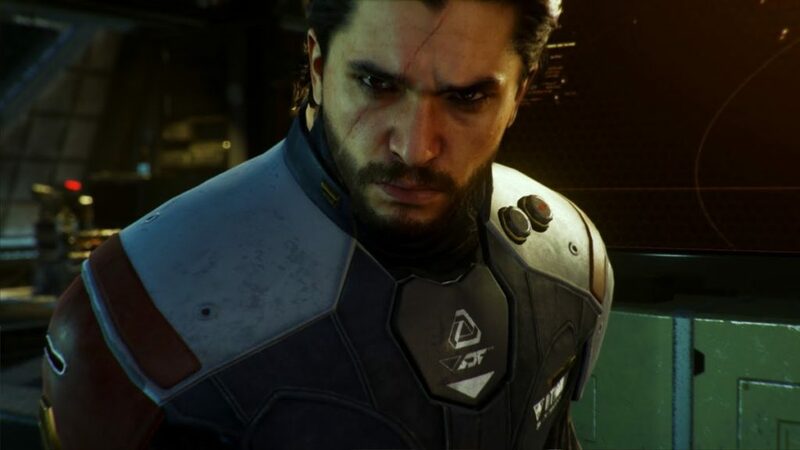 The Call of Duty series is no stranger to stunt casting, and Infinite Warfare has cast two significant actors this year: Kit Harrington, aka Jon Snow from Game of Thrones….and Conor McGregor, professioal MMA fighter. The latter role was just revealed yesterday by McGregor himself, and today EA released the first trailer to feature footage of his character. After a simultaneous surprise attack on UNSA forces in Geneva and the Moon Port Gateway, Lt. Nick Reyes must take the helm of the Retribution, one of Earth’s last remaining warships. In a time of unthinkable adversity, Reyes must lead his trusted crew against the relentless Settlement Defense Front’s plans to dominate all who oppose them. This is Kit’s first video game, but it’s Conor’s second. He was featured in EA Sports UFC 2 earlier this year, and was spotlighted on the front cover.The website MacLife took video footage of McGregor being mo-capped behind the scenes; take a look below. Call of Duty: Infinite Warfare will be released October 14 for PS4, XBox One and PC.